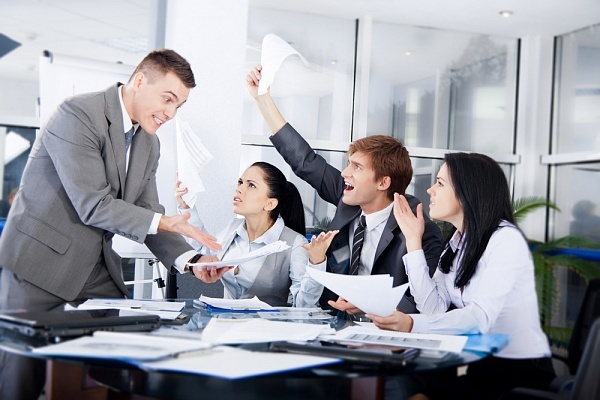 The world around us is a hectic and chaotic place, and your work environment is no different. If you’ve got a job, then you’re familiar with stress (they don’t call it work for nothing!). But just because the workplace is full of stressors doesn’t mean you have to be stressed out. Here are five great life-hacks to help you deal with stress at work. Perspective is everything when it comes to eliminating stress. The first step to lessening workplace stress is to identify the cause. Stress can come from anywhere: work overload, low salary, problems with management, workplace bullying, etc. Once you know where stress is coming from, you’ll need to analyze it to understand your level of control. If you have control over a problem, create a plan of action and implement it. From conflict resolution to delegation of tasks, if there’s a problem in your workplace within your control, the fastest way to eliminate its negative affect on your life is to take responsible action. On the other hand, many stressors are outside of your control. If that’s the case, you have to take a different approach, which means if you can’t solve the problem, then you have to change your attitude. A change in perspective, particularly one that employs empathy (imaging yourself in another’s shoes) is one of the best ways to help lower stress at work. 1. The task must have clear goals and the ability to track them. 2. Feedback must be clear and immediate in order for the person performing the task to be able to evaluate and adjust their performance based on their progress and any challenges they might encounter. 3. The performer must feel confident in their ability to complete the task(s). In the section below, we’ll discuss some ways to help you achieve these three aspects through scheduling, tracking, and building confidence. Creating a schedule and a to-do list are two great ways to help you prioritize your workload. A schedule keeps you organized and allows you to plan out your time in the most effective manner while a to-do list helps to keep you motivated and creates a sense of accomplishment as you move through your tasks. Aside from the obvious upside of completing each task, by having a literal representation that you can then cross off or show completion of in some way is psychologically beneficial in that it fosters a feeling of control and increases confidence. Another similar way to do this is to create a Ghantt chart to both set a goal for your progress and subsequently track it. No matter what tool you’re using, the importance of organization, goal setting, and accomplishments remain at the forefront of your success. Another great way to help you manage your time and prioritize your workload is the use of time management apps. Time management apps can be used to set goals, manage tasks, keep track of word counts and project completion deadlines, and can also be great in helping you stay focused. Particularly, apps that can block your access to social media sites and other time-eaters can be set for specific timeframes to keep you focused and limit distractions. Stress can have a snowball effect (where one stressor piles onto another making them all feel disproportionately bigger). The best way to stop this is to spot the signs of stress early and eliminate them by using relaxation techniques. Relaxation techniques range from mental exercises like mediation and having a mantra, to physical exercises like practicing yoga, deep breathing techniques, pressure point stimulations, using a stress ball, maintaining a Zen garden, and even just employing a quiet space to recharge throughout the day. If you’re unsure where to start, meditation can be a great place as it requires no other props or stimuli and can be done in a matter of minutes. Simply find yourself a quiet space and focus on your breath. Push away all other outside focus and use this time to be in the moment. Start with a small timeframe, perhaps five minutes a day, and watch how easy it is to eliminate stress from your life. There’s a lot of truth to the old saying: a well-oiled machine has no friction. You are the machine that runs your life, and if you’re not keeping up with vehicle maintenance, it’s just a matter of time before you break down, so to speak. So how do you keep your vehicle in optimal condition? Use the right fuel (eat a healthy diet high in protein, fruits, and vegetables, limit your intake of sugar and processed foods, and drink 8-10 glasses of water a day). Recharge your batteries (get enough sleep—which means turning off electronic devices well before bedtime, not overdoing it on caffeine throughout the day, and getting a full night’s rest). Fire up the engine (exercise regularly—maintaining a balance of strength training and cardiovascular activity will keep your metabolism firing away, increasing muscle tone, agility, and stamina, and improve posture, mood, and focus). Bitrix24 is popular free collaboration software. Use promocode TIP10 when registering your free Bitrix24 account to get extra 10GB.